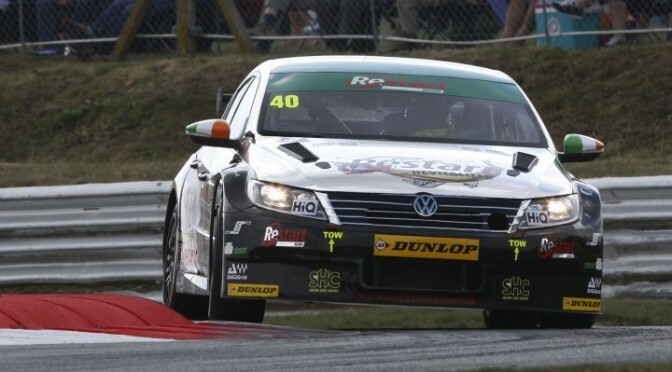 Aron Smith took his and the Chrome Edition Restart Racing squadâ€™s second win of the 2014 Dunlop MSA British Touring Car Championship in a dramatic reversed-grid finale at Snetterton. Smith started from pole and narrowly held the lead from the Airwaves Racing Ford Focuses of former double champion Fabrizio Giovanardi and Mat Jackson. The top three stayed close during the early laps, but held position while the excitement kicked off behind. Adam Morganâ€™s WIX Racing Mercedes A-class initially held fourth, but he was edged wide as Matt Nealâ€™s Honda Yuasa Racing Civic Tourer came by at Agostini on lap two. Championship leader Colin Turkingtonâ€™s eBay Motors BMW followed Neal through and then attacked immediately attacked the triple-champion ahead of him. 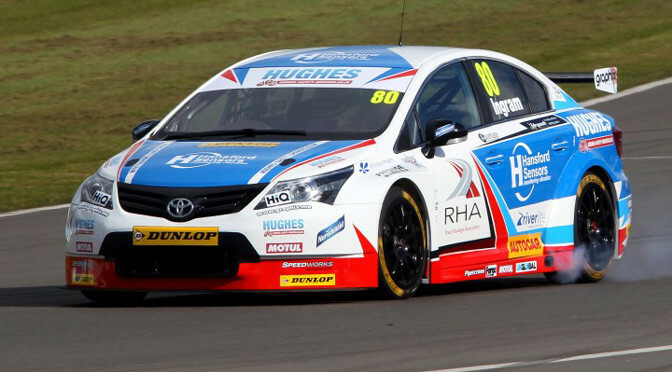 Neal defended strongly, while his title-contending team-mate Gordon Shedden recovered from a slightly poor first lap, running eighth behind Morgan and double Snetterton winner Jason Plato (MG KX Clubcard Fuel Save). 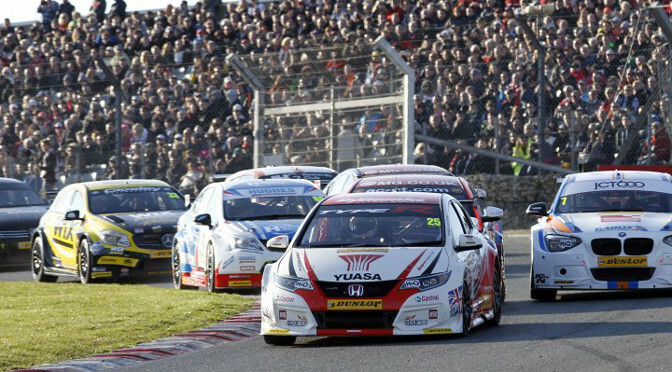 Eventually, Turkington touched Nealâ€™s Honda under braking for Agostini and set off after the lead trio. Neal recovered but would finish 11th.